Fiji strategy is a reversal-trend strategy based on fiji indicators and heiken ashi. This strategy works with range market, short trend and medium trend. When the market is very trending, this strategy falls. The indicator fiji trend is modified for MT4 600+. Fiji trend ( ma 5, atr 11, Kv 1.3, money risk 0.15). In the folder there is also auto pilot EA. 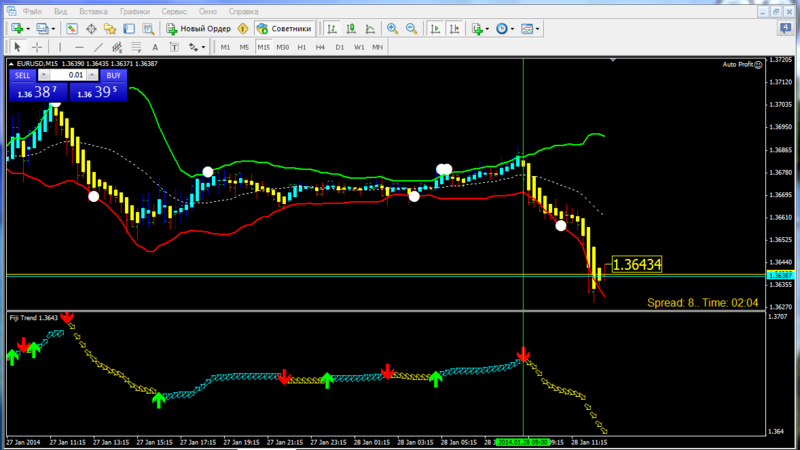 When appears the white dot below the lower band wait the buy arrow of the Fiji trend with heken ashi white bar. 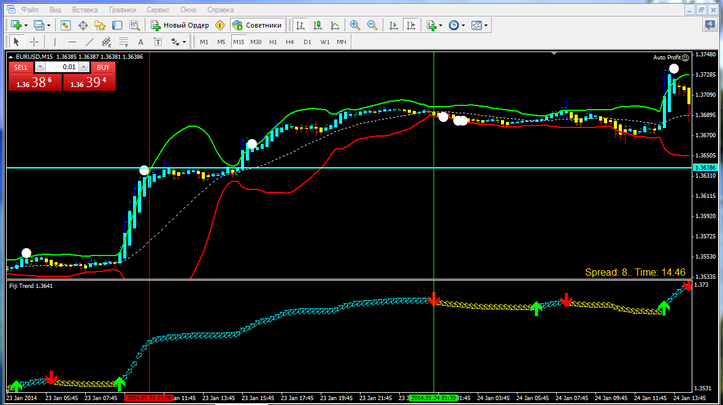 When appears the white dot above the upper band wait the sell arrow of the Fiji trend with heken ashi red bar. Place initial stop loss above/below the band. Profit target on the middle band or with predetermined profit target. In the pictures Fiji Strategy in action.